Reach the environmentally conscious community by applying for a booth at the Portneuf Valley Environmental Fair. The 2019 Portneuf Valley Environmental Fair seeks to present information, resources, services, and products that promote healthier, more ecologically sound lifestyles, as well as educate attendees about the environmental impacts of widespread consumer actions and choices. For-profit vendors must either 1) be at least a $250 sponsor or 2) provide a hands-on activity about the environment, or 3) sell locally produced products (e.g. earrings made from recycled materials) at the Fair. NOTE: A panel comprised of members of the organizing committee will review all exhibitor applications received by the specified deadline. The panel reserves the unilateral right to accept or reject exhibitor applications based on the above criteria or overall space considerations. 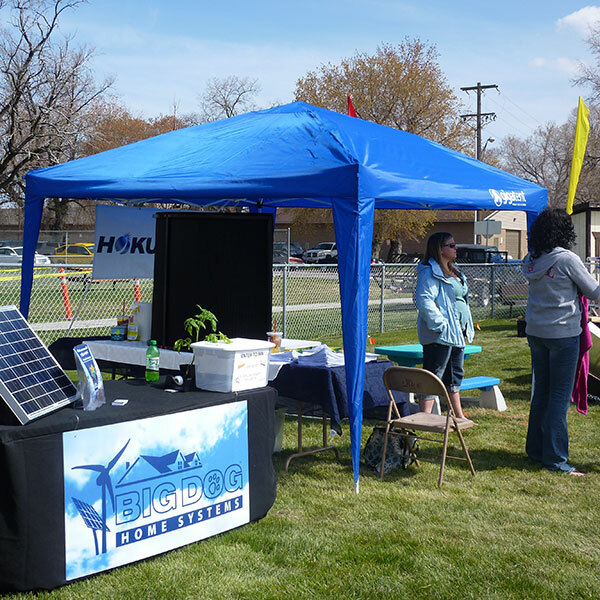 The booth application for the 2019 Portneuf Valley Environmental Fair has been closed. Thank you for your interest! © 2018, City of Pocatello. All rights reserved.